The two families are closely intertwined in terms of geography, family and friendship, but they are not related by blood. The Bar-Lev line descends from Shimon Bar-Lev (1904-1992), who was the son of Eliyahu (Elly) Balaban and Batsheva [last name unknown]. Batsheva died young, when Shimon was only four years old. Elly’s second wife was Malkeh Maidenberg, eldest daughter of Solomon and Perel. 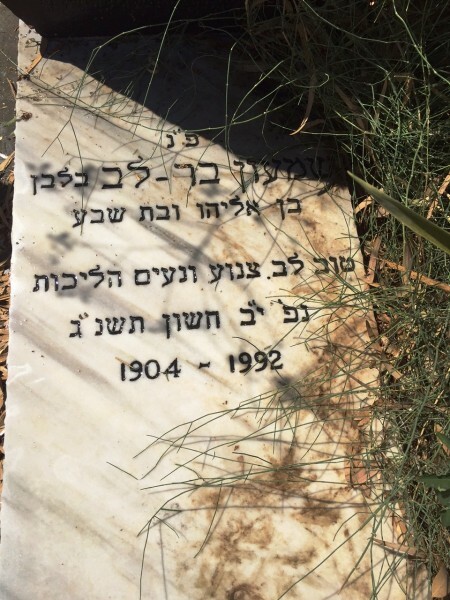 To Shimon, Malkeh was mother, as a tragic entry at Yad Vashem would show. 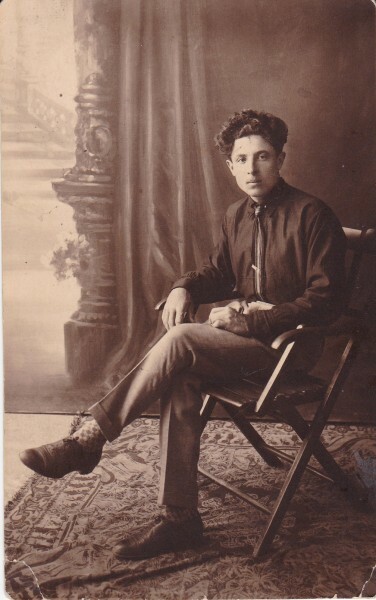 Shimon Balaban was born in Dzygivka, and knew the Maidenberg family well. He did not change his name to Bar-Lev until 1950, after Israel’s independence, when there was a widespread movement to leave behind European names. “Bar-Lev” translates to “master of the heart,” meaning “of good, strong, character”. It was an apt name. To all in Israel he was known as Syoma, the familiar form of Shimon in Russian. 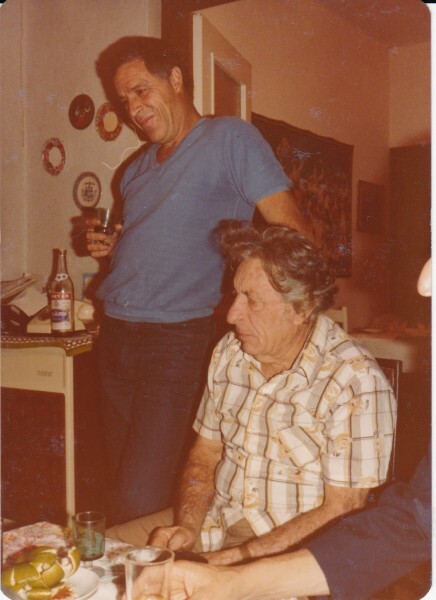 In 1989 Shimon and Luba sat for an interview and oral history. They told of how they came from Russia to Israel in the 1920’s. Shimon’s story is gripping. He tells of secret work for Zionist causes after the Bolshevik Revolution of 1917. He suffered imprisonment and torture in Russia and Rumania. An English translation of the oral history is here. A video of the interview (in Hebrew) is on the Video page. Scroll down to it. Shimon studied Hebrew in the cheder. He became a Zionist. He escaped Ukraine as a teenager, going through Romania. Both countries thought he was a spy and he spent over a year in jail in both places. 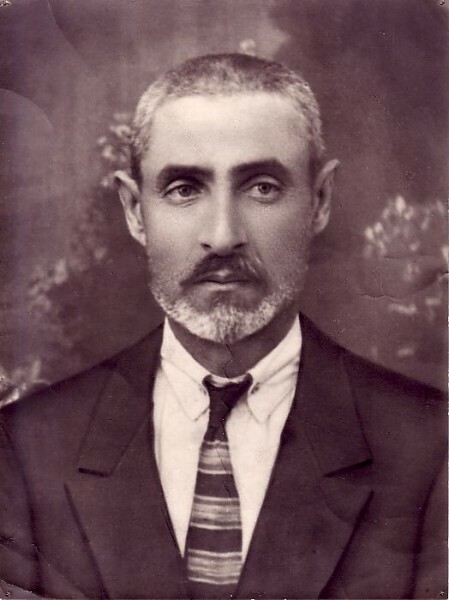 In 1925 at the age of 21 he came to Palestine as a pioneer. That time was called the Fourth Aliyah Movement. In 1925 there were about 100,000 Jews in Palestine and the Fourth Aliyah Movement was of about 20,000 people. In 1948 [when Israel became independent] there were 600,000 Jews in Israel. He worked in agriculture, road building, drying out swamps, like so many others. 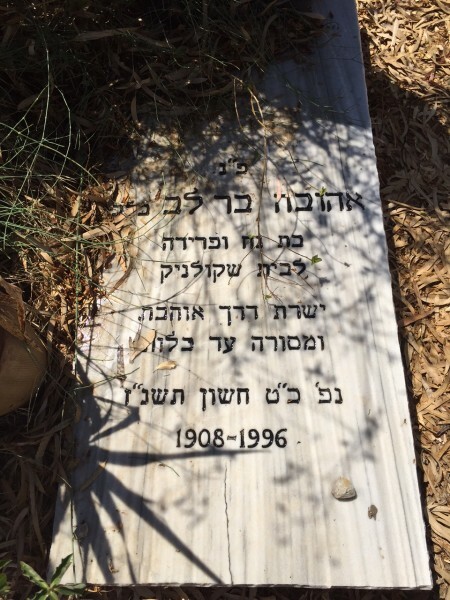 In 1933 he had come to Moshav Avihayil near Natanya, and settled there as a farmer. He was involved in the Haganah fighting to expel the British and establish the state of Israel. He died in 1992 at the age of 89. He had no papers or documents when arriving in Israel. Luba [wife of Shimon], Dan’s mother, was born in Ukraine in 1908.She came to Palestine in 1926 in the last ship that could get out of Russia for many more years. She was also a “chalutza”, suffered also hunger and diseases such as malaria. She married Shimon in 1928. They met at one of the workers camps near Haifa. Neither Luba nor Syoma were religious, rarely entering a synagogue. 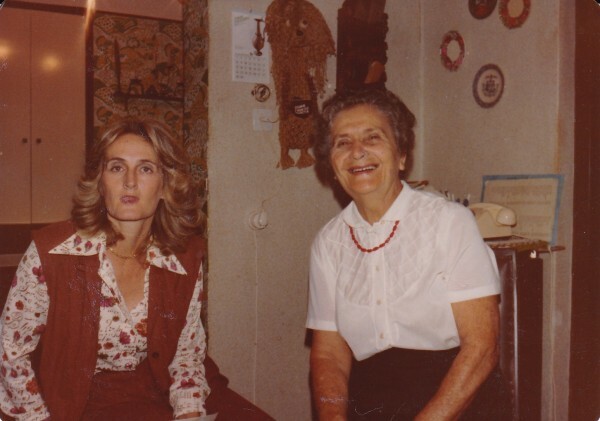 Luba in particular despised the orthodox, her daughter-in-law Nelly remembered. Their sons did not have bar mitzvahs. The Maidenbergs first came to Ukraine around 1870 from Germany; their original name was Maizenberg. That is the information Shimon gave us. There is no other confirmation of the 1870 date, nor the arrival from Germany. Joseph, Solomon’s son, never referred to it in his letters about the family. Solomon himself was born about 1860. We have presumed he was born at least in the province in which Dzygivka is located, Podolia, which had never been part of any German state. Unless and until more accurate birth records are found, the “1870 from Germany” proposition has to be considered possible but unproven. In a 2015 note to Mike, Nelly speculated that Syoma might have meant the Balaban family came from Germany. The pronunciation of the name is a different matter. There is good reason to believe it sounded more like “Maizenberg” that “Maidenberg”, that is, there was a “z” sound rather than a “d” sound. The best evidence for this is how David Maidenberg’s name was written on the ship manifest, filled out in Liverpool. His name was spelled “Masinberg” which strongly suggests David gave his name using the “z” sound. Shimon became close to his half-sister Frida, the daughter of Malkeh and Elly Balaban. Fima, Frida’s son, described how it happened in his memoir. Fima recalled how his mother parted from her brother in 1926 and went years without any news about him. She “lost all hopes for seeing him one day. She did not know whether he was alive. 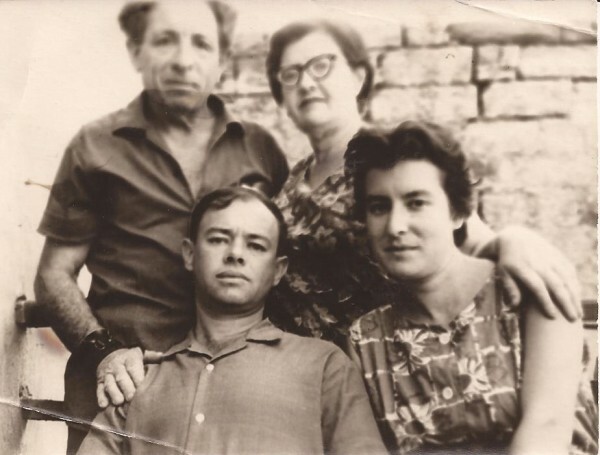 However, in 1963 a miracle happened: my mother received a telegram from Shimon’s wife Lyuba who was touring the Soviet Union those days; it was a short message that Shimon was alive and living in Israel in good health. It contained also Shimon’s photo. Immediately after that we took a flight from Baku where we resided then to Odessa where Lyuba had appointed our meeting – at her native brother David Shkolnik’s. She told us about Shimon’s absolutely fantastic life. It was a story we could not have heard being separated by an “iron curtain”. In 1966 Shimon came from Israel to Odessa. It was a meeting of brother and sister after forty years, an acme of their happiness. They never parted for a week and a half. It was their single meeting. During many successive years, up to my mother’s death, they were corresponding with each other. Here I will just note that it was due to Shimon that in 1926 an Israeli family branch has appeared. We used to meet Shimon and his wife Lyuba, together with their three sons (Uri – a pilot; Dan – who worked in finance and marketing, married to Nelly, a lawyer; and Gileh, a housewife married to an architect), both in Odessa and Israel. Unfortunately, after Shimon’s death our contacts appeared cut short. Mike never met Shimon, to his regret. Milt Maidenberg did, as did Sylvia Rosen Greenberg. 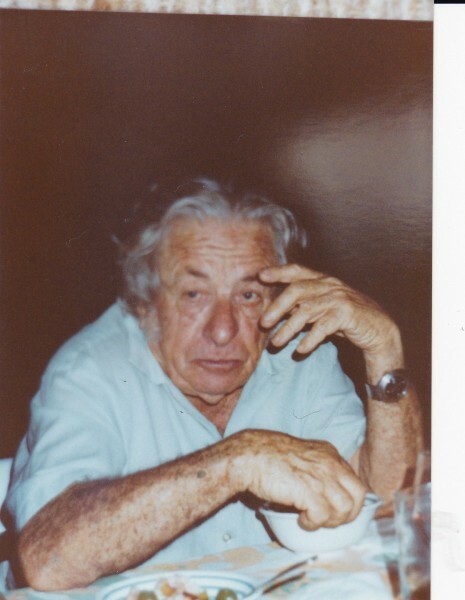 Though not a Maidenberg, Shimon felt deeply connected to the family, primarily through his stepmother, but also through the American branch of the family. 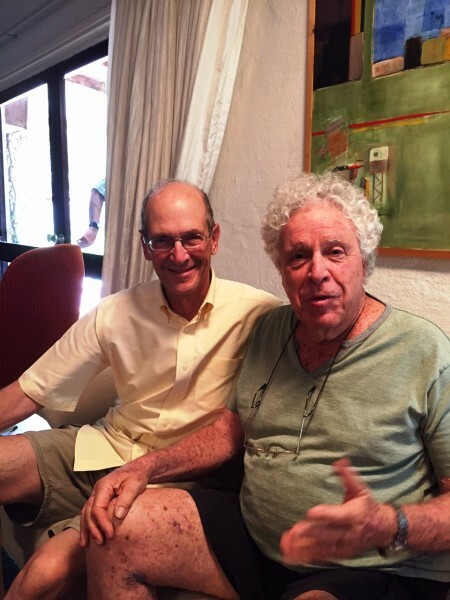 Uri, Shimon’s eldest son, was the El Al pilot who heroically foiled a skyjacking in 1970. Read an account here. 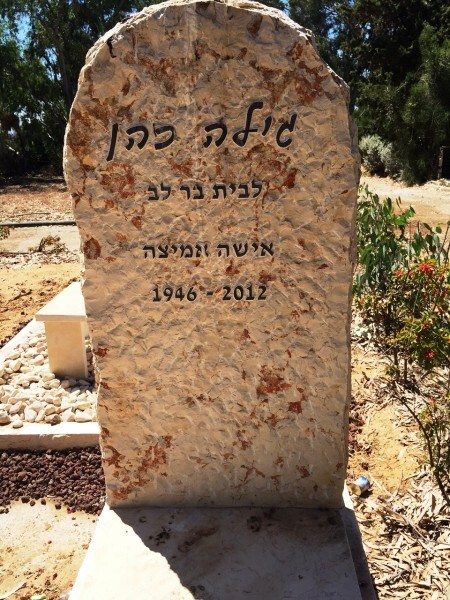 Shimon’s two younger children, Dan and Gila, both died of cancer, Dan in 2004 and Gila in 2012. Dan’s wife Nelly has a moving family story in her own right. You can read the Degany family history here. The death of Malkeh at the hands of German soldiers is recounted in the Line of Malkeh essay. When Mike went to the Yad Vashem archives to enter the name of Malkeh as a victim of the Holocaust, he found he name already enrolled—by Shimon. He listed himself as her son. On the back is written in Hebrew: "Am sending this photo as a memento in friendship in the hope that in your first letter you will remember me as a good and loyal friend. -- Your cousin who loves and honors you. Shimon Balaban" The date appears to be 1927, which would make Shimon 23 years old.There is also an inscription "Long live Jewish Israel." The name "Binyamina" is also written. We don't know to whom the photo was addressed, nor the cousin mentioned. There is an note on the back written in Yiddish. The date is February 22, 1954. It is addressed to a name which appers to be "Hedi", but could be "Etty" the diminutive for Esther. It reads: "We send a family photo taken on my 50th birthday, two weeks ago. Dear ones, let this bring to mind your Shimon who is now suddenly 50 years old. I've lived through a lot,raised a fine family. Where have all the years gone? [Hedi], do you still remember those days?" 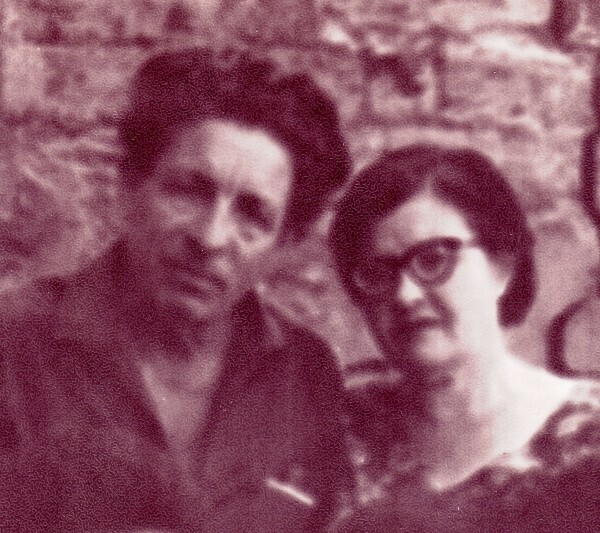 The photo shows Shimon and his wife Luba. Seated on the ground is son Uri, with daughter Gila holding her big brother's shoulders. 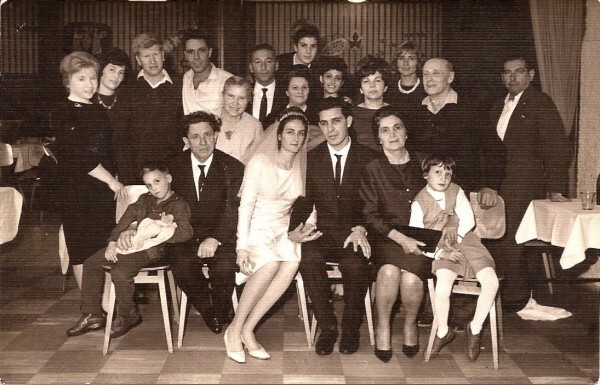 Standing to the right is son Dan, with Uri's first wife Nirit. 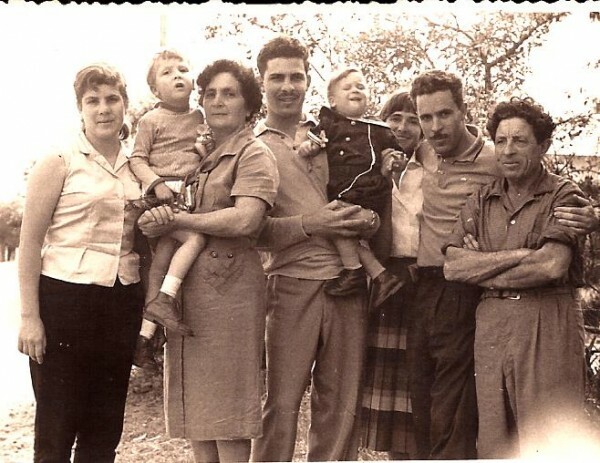 L-R: Gila, Luba holding Noa (Uri's first daughter), Dan holding Omri (Uri's second child), Nirit (Uri's first wife), Uri and Shimon. Flanking the beautiful bride and handsome groom in the front row are Syoma and Luba. Elder brother Uri is in the white shirt behind his father. Younger sister Gila is at the very back, behind Nelly. Syoma is 62, Frieda is 54. Frieda is actually Syoma's half-sister. They share the same father, but have different mothers. Regardless, they were close. How Syoma came to make the trip to the land of his birth is unknown. 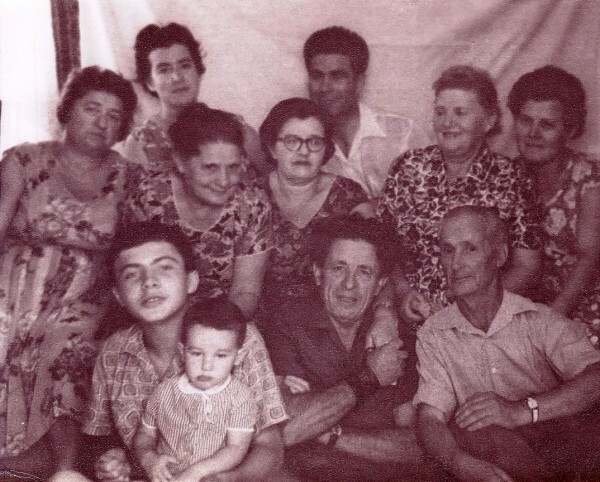 Front row l-r: Fima holding Dima, Shimon, a neighbor Middle row l-r: neighbor, neighbor, Frida, Malieh Maidenberg Rosenberg, neighbor Back row l-r: Rozita, Daniel Shkolnik, brother of Luba. Luba is not in photo. Shimon's wife Luba and daughter-in-law Nelly, wife of their son Dan. Photo is dated Nov. 5, 1981. Taken in Avichail, Israel. The lion near the end of his days. Shimon died in 1992. He was the father of Shimon by his first wife, Bat-Sheva. She died when Shimon was only three years old. Eliyahu's second wife, Malkeh Maidenberg, was regarded as his mother. Uri in 1970 after thwarting the highjacking. Uri is to right. Flight attendant Janet Darmijan and senior flight attendant Abraham Eizenov are others. 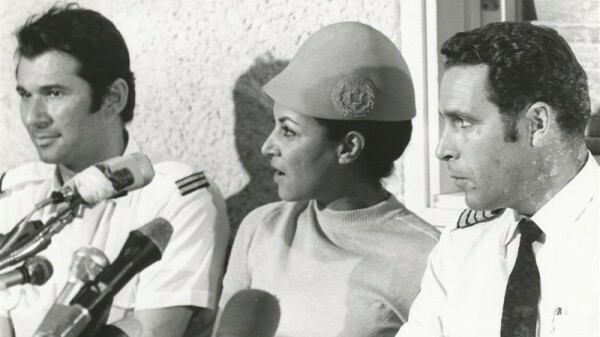 They were speaking to the media on their safe return to Israel, September, 1970. Photo is from El Al archives. The two not-quite second cousins met for the first time. 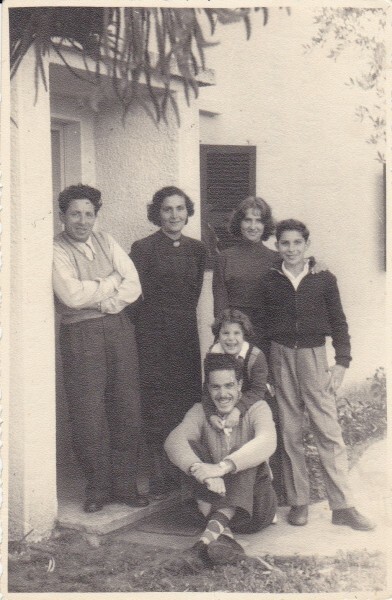 Uri recounted the hard but fulfilling life on the early moshav. There are many stories about his father Syoma (as Shimon was called by all): escape from Russia and Rumania, building the land of Israel with labor and weapons, raising a family. The stories about Syoma will eventually be collected and placed on the website. 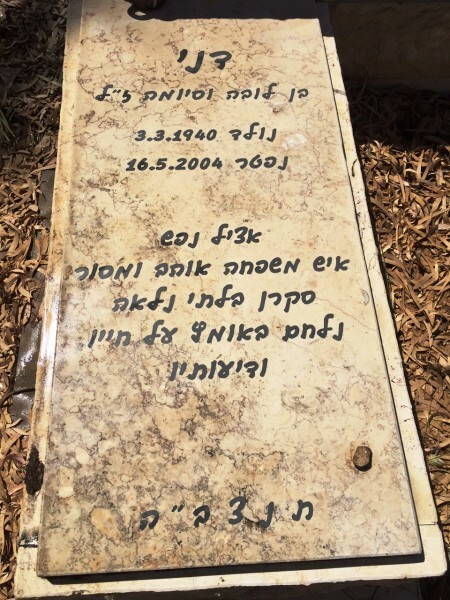 It reads: Shimon Bar-Lev Balaban Son of Eliyahu and Batsheva Good-hearted, modest, a joy to know Died 12 Heshvan 1992 Born 1904 "Balaban" was Syoma's surname in Russia, which he changed in Israel. It reads: Dani Born 3.3.1940 Died 16.5.2004 Noble soul Family man Boundlessly curious Fought with courage for his life and opinions Dan died of cancer. It reads: House of Bar-Lev A brave woman 1946-2012 Gila was the daughter of Syoma (Shimon) and Luba. She died of cancer. 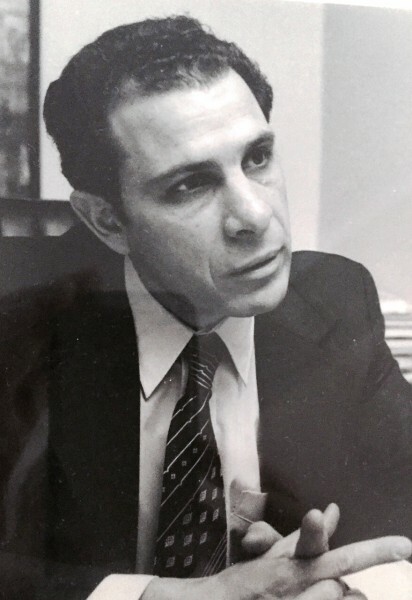 He and Nelly were living in Philadelphia, where he represented the Israeli Ministry of Finance as Consul for Economic Affairs, focused on the mid-Atlantic states. Dan was a financial advisor who held teaching posts at various universities in finance and marketing.